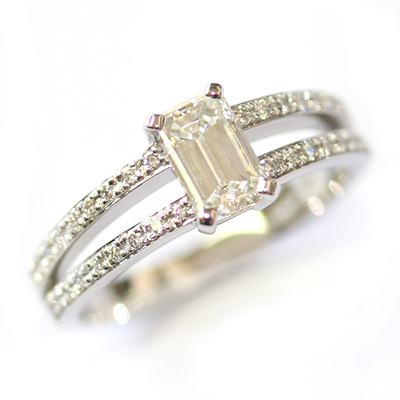 A stunning yellow gold solitaire engagement ring with an emerald cut diamond. 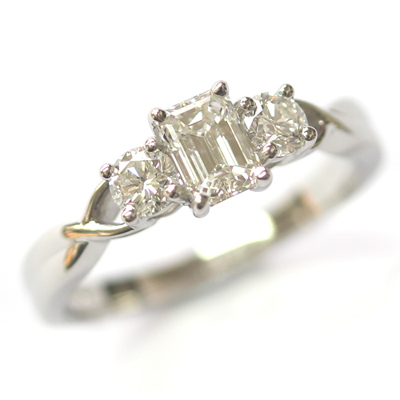 This is a lovely example of a classic solitaire engagement ring, with a tactile twist. Rather than using a traditional claw setting, the diamond has been hand set in a rub setting. So, the metal wraps beautiful around the entire profile of the diamond creating a smooth, neat finish. 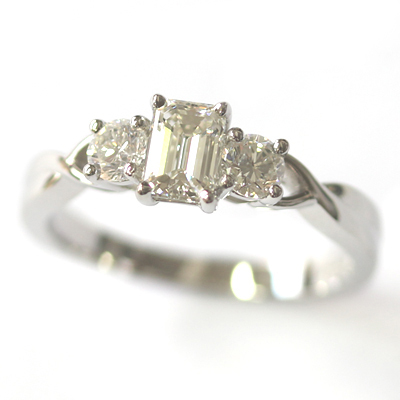 The customer hand-selected the perfect emerald cut diamond for their engagement ring. 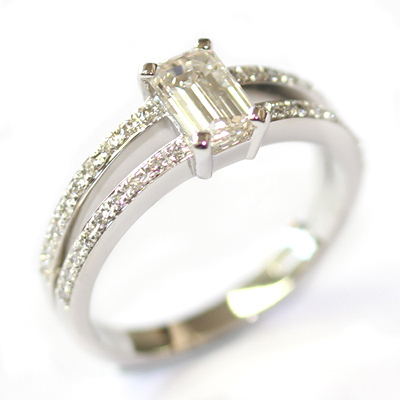 This is a special service we are able to offer as a bespoke jewellers. 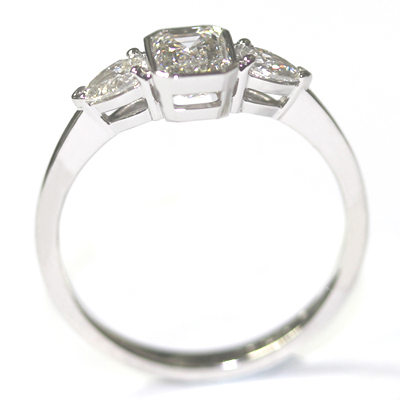 We can source a selection of diamonds from our reputable dealers for you to view. All to suit your individual budget. Then you choose the best diamond for you. 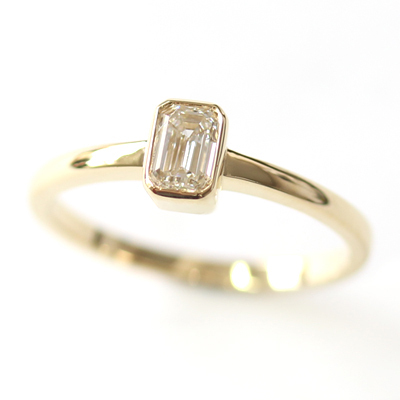 The customer also decided on the precious metal (yellow gold), the width and the profile of their engagement ring. Once back from the casters, our expert jewellers hand set, finished and polished the ring and the customer was thrilled with the final result. 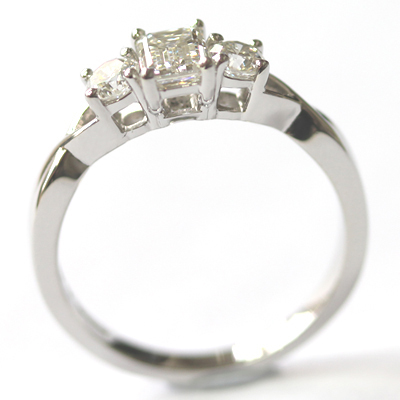 A beautiful solitaire engagement ring. 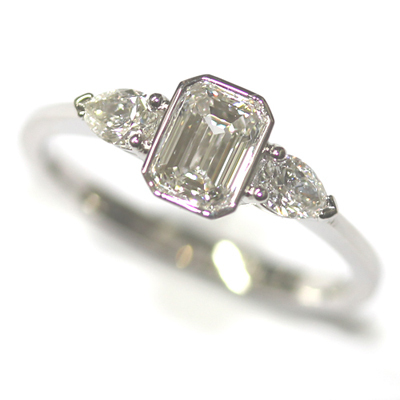 A solitaire emerald cut diamond engagement ring cast in platinum. 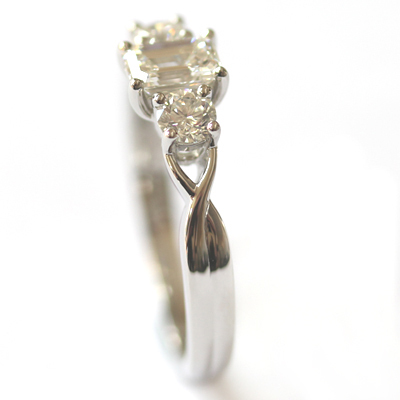 The customer decided on a clever twist for their solitaire engagement ring. 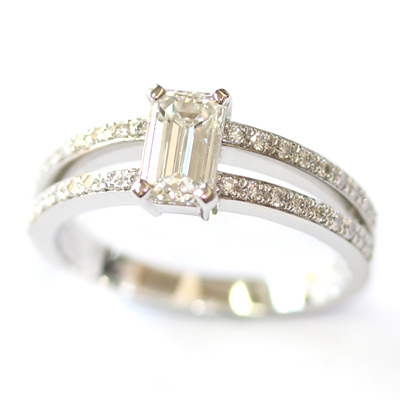 Rather than having the emerald cut diamond set perpendicular to the band, with the length of the stone going from top to bottom, instead they chose for the diamond to lie along the ring following the flow of the band. 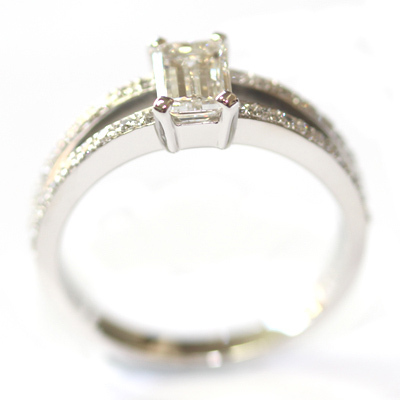 This quirky design choice provides a neat and contemporary feel to a classic engagement ring style. We think it’s lovely! Bespoke and beautiful.